Good move for the Cundall offices, look after the staff and the staff will look after the business. We know from the American Society of Interior Design Study, that 68% of employees complain about lighting in their offices, with it affecting their productivity and concentration. By implementing a Well Build standard 92% of people who work in this environment should see a positive effect according to the Well Build Standard. Fantastic ideas do keep happening. 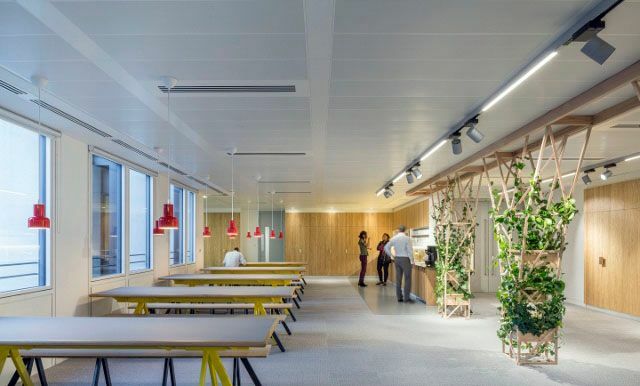 The lighting design at the headquarters of international multi-disciplinary engineering company Cundall combines both the careful layout of the office to maximise the use of natural daylight with light level sensors that reduce or increase lux levels when appropriate.